I have seen quite a few takes from the DVDs. They are not worth it. On the other hand several live tapes are very much worth while. I wonder if some of the remastered operas will be released seperately. If they follow the same path as with the studio recordings, they will issue them individually. I may be the last to find out, but WHHHHHHOOOOOOOOAH! Excitement for me is tempered. I heard on the grapevine that Warner approached Pablo Berruti of Divina Records, whose releases are exemplary in every way. Unfortunately, Warner were not prepared to pay him a proper fee, so negotiations broke down. I rather worry that, for the ones that EMI issued, they will just reproduce the awful EMI transfers (generally copies of unworthy sources). For the rest, they will probably just copy either Divina or Myto. I may be wrong, of course. Plácido Domingo will conduct three performances of Die Walküre at the 2018 Bayreuth Festival. Indeed... Weh, ach wehe! Dies zu dulden! And to program a Ring opera in isolation like this must be a first in the festival's history. Weh! Since the Castrof Ring premiered in 2013, they've had one extra, non-cycle performance each summer (this year it'll be a Walküre on Aug. 18, between cycles 2 and 3), but yeah, this'll be a first, since they won't be doing the other three operas at all in 2018. 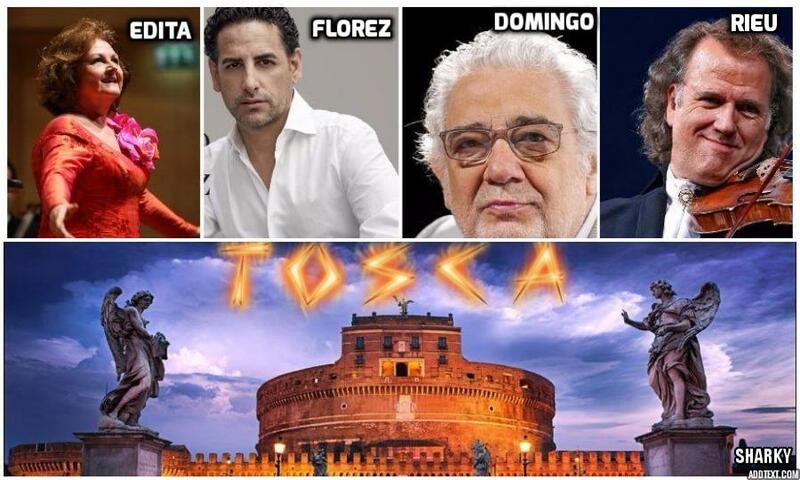 Tutto declina. Two scenes stand out in Mason Bates’ “The (R)evolution of Steve Jobs, ” now in its world premiere engagement at the Santa Fe Opera. In both of those scenes, the energy of the composer reacts with that of his mercurial subject to create something theatrically arresting and new. The first happens early. After a brief prologue that takes place in 1965 on Steve’s 10th birthday, we are suddenly plunged into the 2007 product launch of the iPhone (we know what it is, though Apple and its products are never named). The tempo picks up, the orchestra ticks and pulsates with rhythmic excitement, and as the adult Steve ( Edward Parks ) demonstrates—“One device / Does it all. In one hand”—images of computer icons and webpages (by 59 Productions) flash on Victoria “Vita” Tzykun’s paneled set. Steve’s jittery aria—“Tap / Get the news / Tap / Book a flight,” and so on, with every other function one could possibly wish—sweeps the chorus along in a moment of triumph that captures the zeitgeist of this revolution in technology. In the other memorable scene, which takes place about two-thirds of the way through the 90-minute opera, the rhythmic energy lurches toward chaos: Now we’re back in the 1980s, Apple’s fortunes are falling, and Steve, reacting to every design idea with “Wrong. All wrong,” sows discord in the company, pushes his old friend and collaborator, Steve Wozniak (“Woz”), away, and, after the board sidelines him, quits as the orchestral roar turns into the cacophony in his head. This is the first opera for Mr. Bates, who is best known for integrating electronica and techno rhythms with classical instrumentation. His vocal writing here is tuneful and accessible, if not gripping; the opera’s most interesting music is for the orchestra and the complex, overlapping ensembles like the two driving, aforementioned scenes. Electronic sounds create unusual effects, like the moment right after the launch, as Steve’s illness overcomes him, when the whole orchestra seems to groan; so does the use of a guitar as a leitmotif for Steve. Just read that Australian opera is being fined 200000$ for ... using too many foreign talents. Earlier this year Sidney opera got fined 15000 $ for...making too much noise. It looks like the aussie judges do not like opera !! Listened last weekend to Philippe Boesmans' Pinocchio, broadcast from the Aix-en-Provence festival. Not being able to watch the show didn't help figuring out the work's value, but the musical part of it was stunning. Klangforum Wien was in the pit. Some of the soprano lines were eye-poppingly delivered by soprano Marie-Eve Munger. I look forward to an eventual DVD. Looks like the play and its adaptation in Aix were redolent of the craze about It, with its chucky-like portrayal of Pinocchio. Lyric Opera of Chicago is getting good reviews for their season's opening opera, Gluck's Orphee et Eurydice. The German magazine Opernwelt has just published its lyrical charts for the past year. 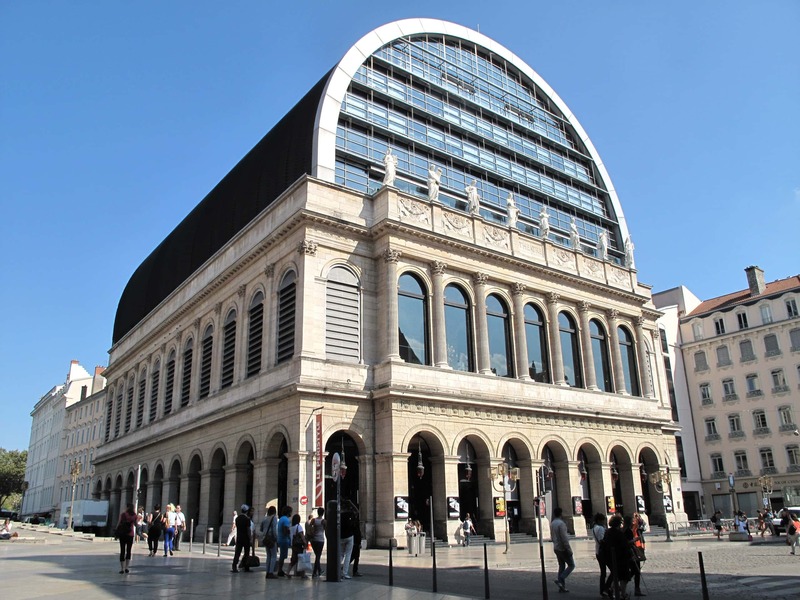 And a divine surprise, the Opera de Lyon is awarded the title of "best opera house" or rather Opernhaus der Jahres. Arte TV will broadcast the Don Carlos production (Paris Opera) directed by Philippe Jordan with Jonas Kauffmann and Sonia Yoncheva tomorrow (Thursday October 19th 2017). The time depends on the place. In Germany its 20:15, while in France its 20:55. Re: General Opera News: Ricky Writes An Opera! It is a great thread regarding opera. Lots of new information is given by every member related to opera. ...“The House Without a Christmas Tree” is a charming, family-friendly piece that manages to be heartwarming without being sappy. Royce Vavrek’s skillful libretto, based on an original story by Gail Rock and the 1972 television movie of the same name, embraces its theme of how relentless holiday cheer can magnify the grief of loss. Preteen Addie, growing up in a small Nebraska town, cannot understand why her widowed father, James, won’t allow her to have a Christmas tree. Over the course of the well-structured, 72-minute opera, she learns that he associates that symbol with the only Christmas he had with her mother, Helen. When Addie wins a Christmas tree at school and brings it home, everyone is forced to confront the elephant in the room. The magic A-word! Accessible! Let monies be showered upon him! I caught that, not to mention "Coplandesque"! C'mon, what else could you want?! Hallmark Channel! Are you listening?! Look, Buffy! An opera for us! The Met's new production of Tosca, which has already lost the originally-scheduled Tosca (Opolais), Cavaradossi (Kaufmann), conductor (Nelsons), and replacement conductor (Levine), now has lost Bryn Terfel as Scarpia, who's withdrawn for enforced rest due to vocal fatigue. He'll be replaced by Željko Lučić. A new production of Carmen has Carmen kill Don Jose in the final act. I can't really see the point of this. The character of Carmen is, in many ways, one of the world's first feminists, who lives her life on her own terms, unrestricted by the will of men. It is her misfortune to take up with an unstable psychopath (Don Jose), and she chooses death over subservience. Rather than run, she stares death in the face, even when she realises how dangerous Jose is (Tu me tuerais peut-etre). I don't see that changing the end adds anything to the opera at all. Carmen already knocked out the pillars of Don José's emotional and social life. When she dumped him for someone more exciting, he was pushed into a corner. So I really don't see the point of making a feminist statement about a woman whose dealings with other people was "use and throw". Also her fancy dresses are not exactly what one would see in a gypsy factory worker of the 1980's. Carmen already knocked out the pillars of Don José's emotional and social life. When she dumped him for someone more exciting, he was pushed into a corner. So I really don't see the point of making a feminist statement about a woman whose dealings with other people was "use and throw". I've never really seen it like that. I think Carmen was a free spirit, who used men as men often use women. I'm sure she'd have been just fine if she'd stuck with men like Escamillo. It's always the quiet ones you have to be careful of.